Tell-a-Tale- An epic 12 hour marathon story telling competition. 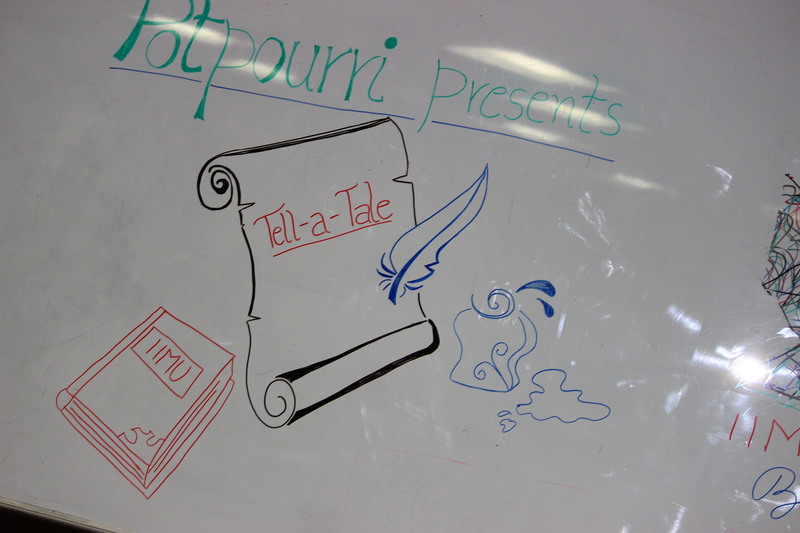 Tell-a-Tale was recently conducted by Potpourri- The literary and quizzing club of IIM Udaipur. Tell-a-Tale is a 12 hour marathon event where budding authors from the local community of Udaipur participated to write 5 different stories. 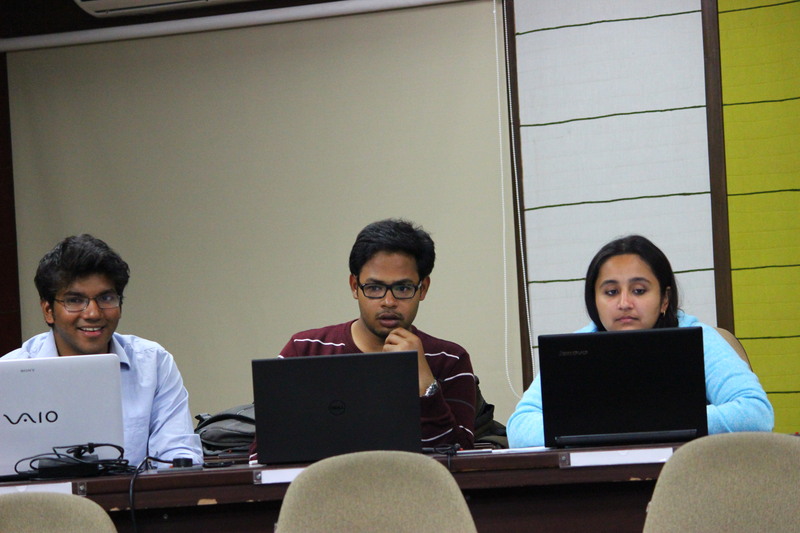 All 15 participants were grouped into 5 teams of 3 writers each. Each team was provided with a beginning paragraph and told to write 12 chapters based on the initial paragraph. 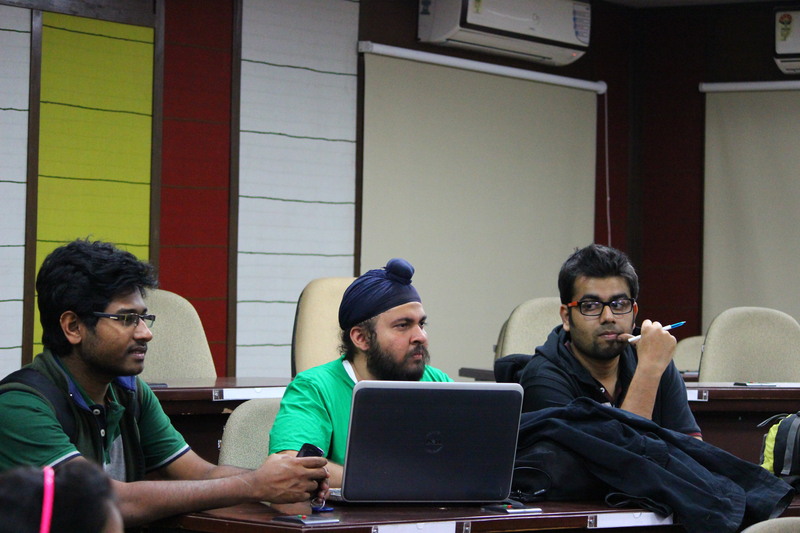 All the teams were provided with the same beginning and asked to dish out their own stories. 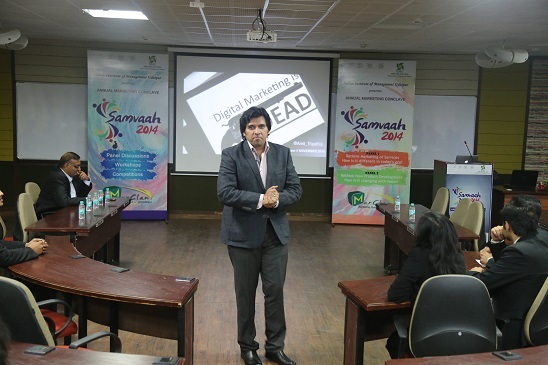 The stage was set and participants assigned their teams. 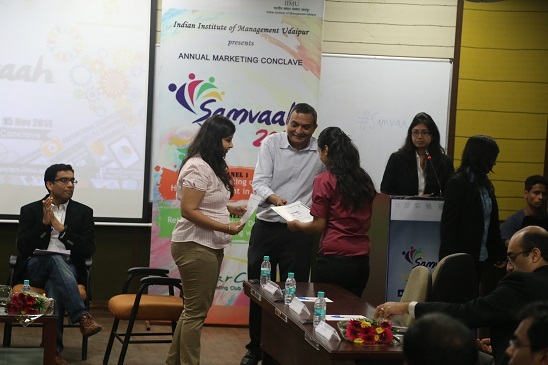 Out of the 15 participants, nine were from IIM Udaipur while the other 6 were local budding authors from Udaipur. At 8:30 pm on Saturday evening the event got going. 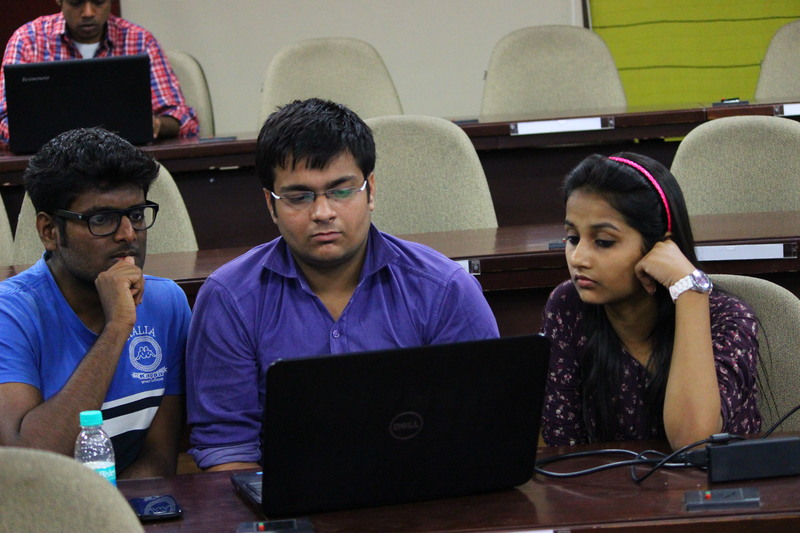 Teams had arranged themselves in the order in which they were going to write the chapters. Once the order was decided, the first member of each group started writing the story while the other two left the room. The other two members had been given a read only access so that could see how the story was shaping up. The first round lasted for three hours in which every member wrote a chapter each for one hour. 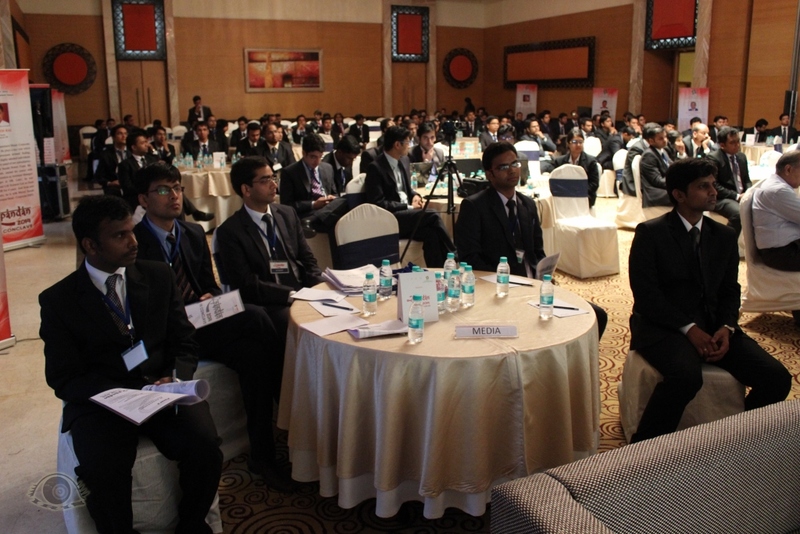 At the end of first round participants were given a 10 minute breather where they could refresh their minds. At the beginning of the second round participants were asked to give a title to their story and also specify the genre of their tale. The same process lasted for four rounds. 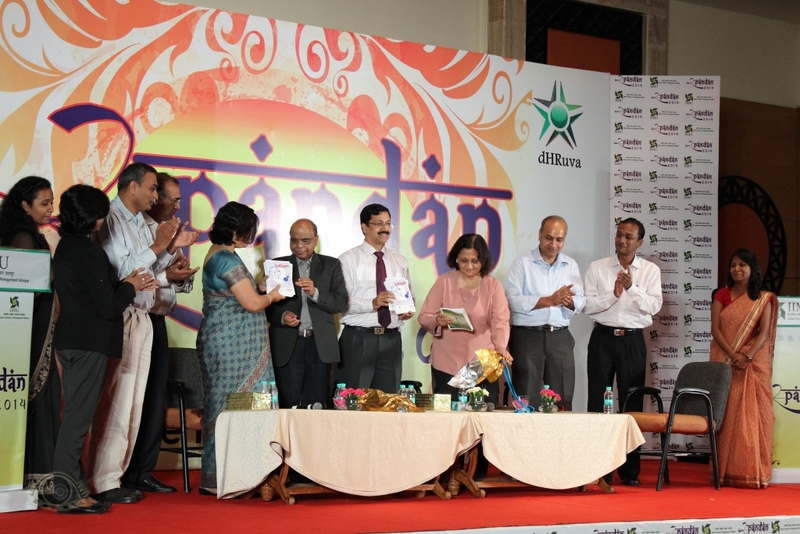 The event was a great opportunity for local budding authors to show their writing skill. The 5 stories are going to be forwarded to a group of publishers who will judge the best story and declare them a winner. The winning team will get their stories published by the publisher. The opportunity of getting their first story meant a great way to start of their journey as a professional writer. 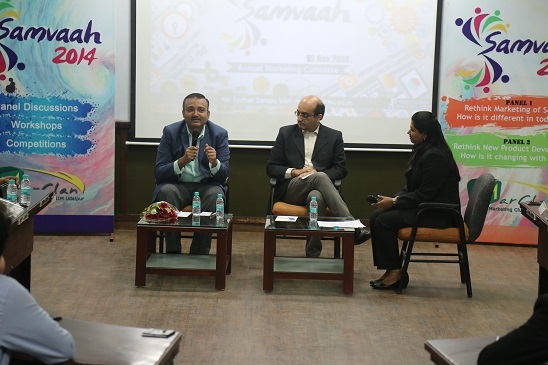 The event was an unusual experience for the IIMU students where they could for once distance themselves from the business of business and revel in the joy of writing. 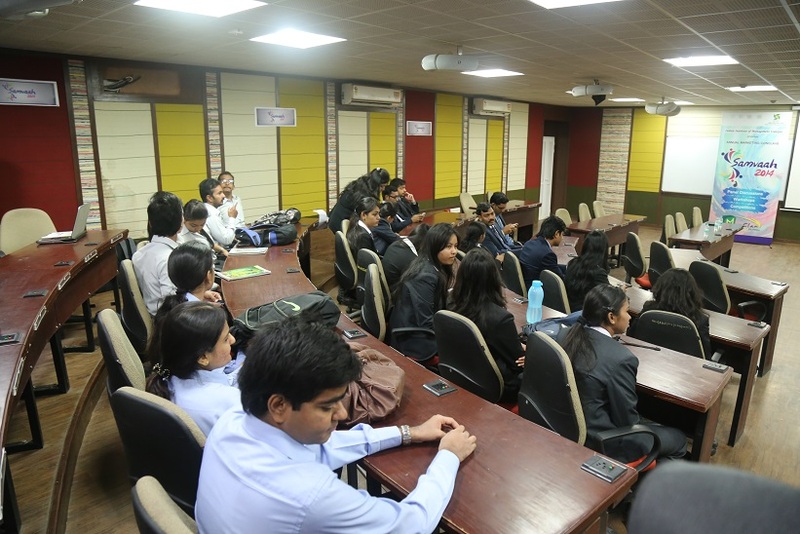 The participants from the local community of Udaipur were mostly students pursuing their graduation. Vineet Sharma has recently given his 12th standard board exams and is preparing for his JEE entrance exams. But he says he is passionate about writing and like writing scripts. He wishes to one day write and direct his own movie. For him Tell-a-Tale was a great avenue to meet other budding authors like him and share ideas and learn from each other. 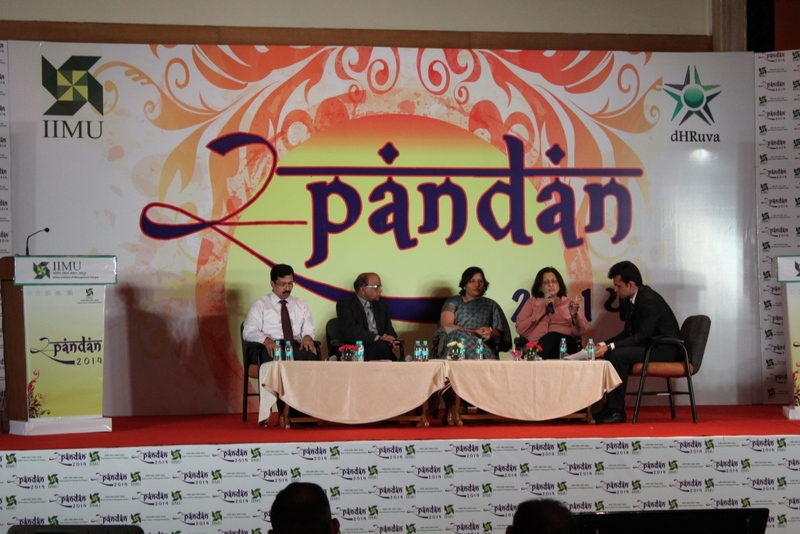 Gauri Pandya writes poems and stories in our national language HINDI. She is currently looking to publish her first book. 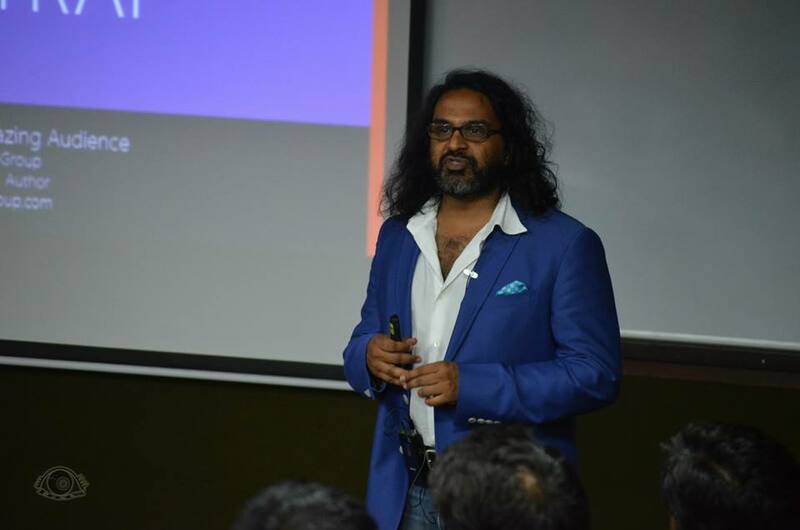 “This is a very good platform for young writers like me to showcase my writing skills. But I also feel that this competition should be conducted in English as well as Hindi to promote Hindi language writers as well”. Arushi Vyas is currently pursuing B.A.L.L.B. from MLSU and and works for ‘City Angle’ a local lifestyle magazine. 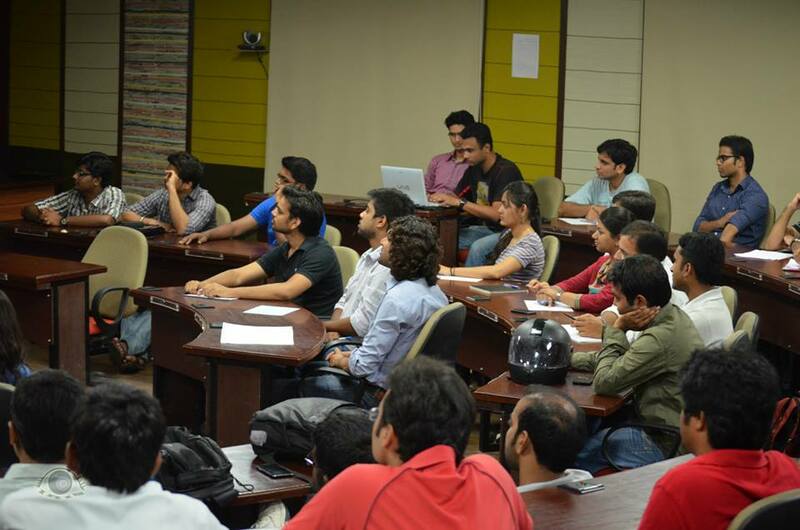 Arushi was first introduced to IIM Udaipur 2 years back. This was when Potpourri organized its very first leap day lit fest. 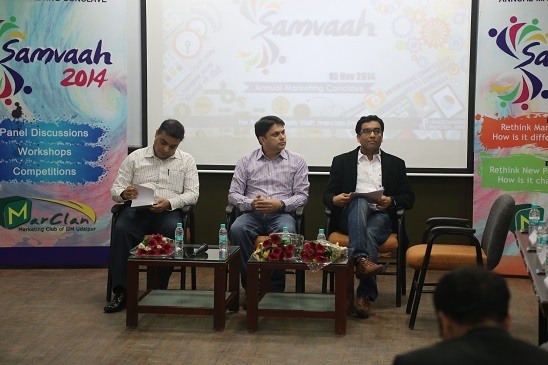 “Attending the lit fest was a great experience for me. 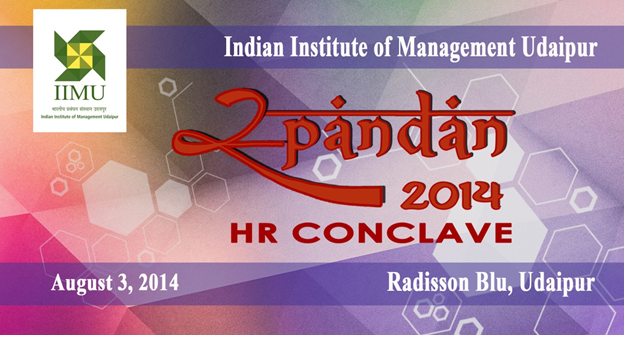 The event in itself was first of its kind in Udaipur. 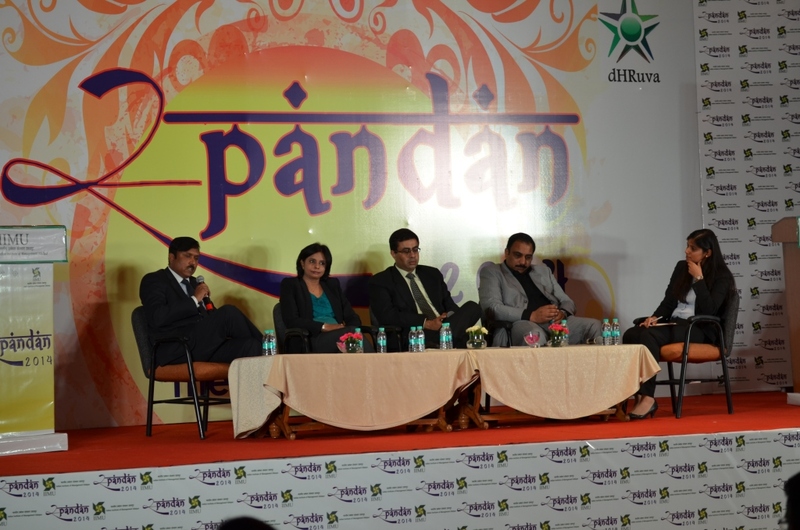 It had a great line up of authors including Ashwin Singhvi. 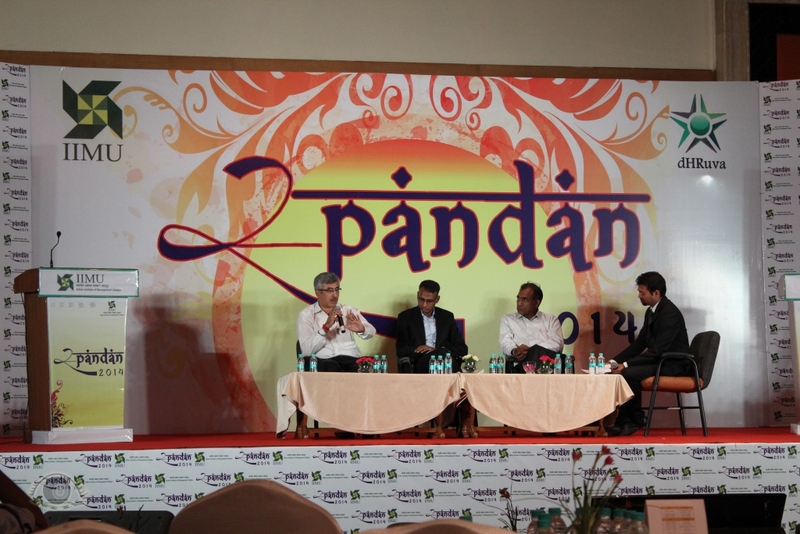 The sessions were very interactive and insightful. 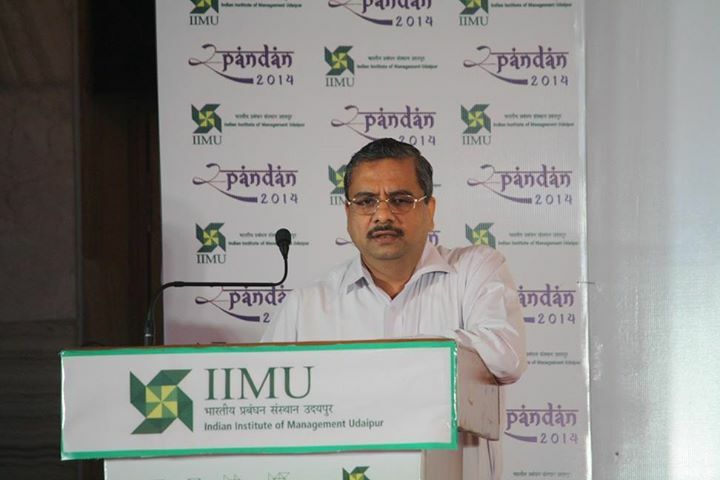 Since then I have been a regular attendee of various events that are conducted at IIM Udaipur. I recently attended Audacity (IIMU’s cultural fest) and now it’s very exciting to be a part of Tell-a-Tale. I am also eagerly looking forward to the latest edition of the Leap Day Litfest”. 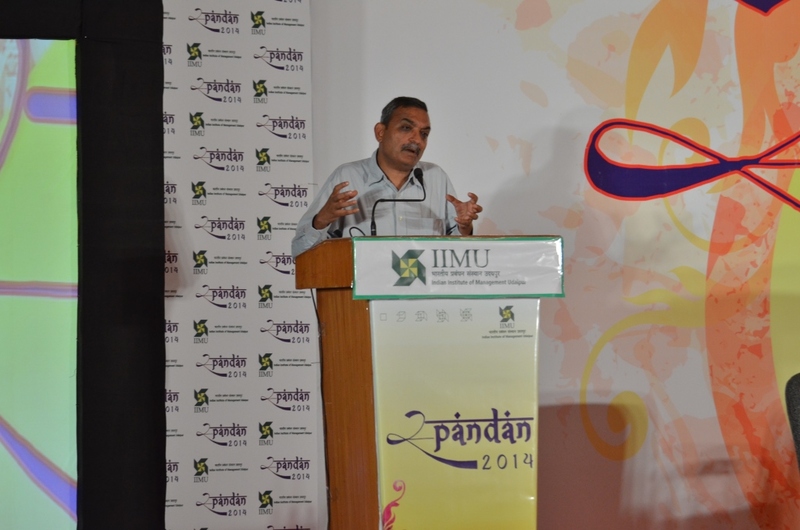 The Udaipur Leap day Lit fest is the annual literature festival of IIM Udaipur conducted by Potpourri-The literary and quizzing club of IIM Udaipur. The event has a great lineup of authors including Mallika Sarabhai and Bollywood lyricist and actor Piyush Mishra. 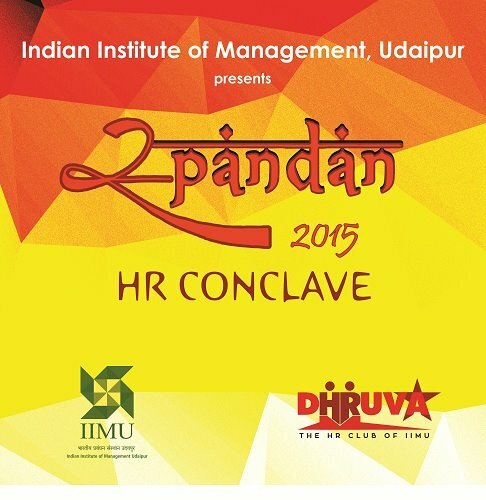 ULLF 2015 will be conducted on the 28th of February 2015 at IIMU campus.